Visiting Nationaal Park Weerribben-Wieden and Scheveningen beach will get you outdoors. Your inner history buff will appreciate Anne Frank House and Museum Het Rembrandthuis (Rembrandt House). You'll find plenty of places to visit near Amsterdam: Westeinderplassen (in Aalsmeer) and Strand Rockanje (in Rockanje). 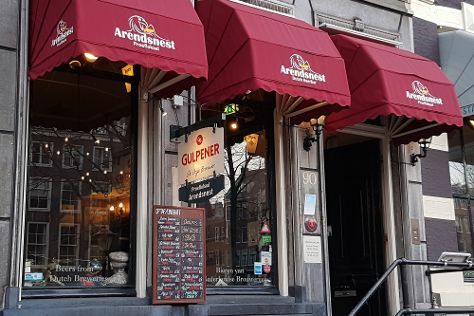 There's lots more to do: take a stroll through The Jordaan, get a taste of local nightlife at Proeflokaal Arendsnest, shop like a local with De Negen Straatjes, and don't miss a visit to Leidseplein. For other places to visit, maps, ratings, and other tourist information, you can read our Amsterdam route planner. If you are flying in from Poland, the closest major airports are Amsterdam Airport Schiphol, Eindhoven Airport and Eelde Airport. In September, daily temperatures in Amsterdam can reach 22°C, while at night they dip to 13°C. Wrap up your sightseeing on the 14th (Fri) early enough to travel back home.